He was Head of the Department of Atmospheric Sciences at the University of Illinois from 1994 until 2006. 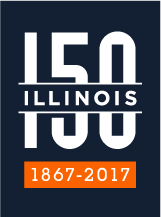 At the University of Illinois, Dr. Wuebbles led the development of the School of Earth, Society, and Environment, and was its first director. While Department Head, he led the development of two highly successful undergraduate programs, one in Atmospheric Sciences, and the other, an interdisciplinary major, in Earth, Society and Environment Sustainability (ESES). The ESES major is held as a model for interdisciplinary environmental sustainability programs across the nation. He was also the first Director of the Environmental Council at the University of Illinois, from 1996 until August 1999; as Director, he was responsible for the oversight and development of educational and research programs across the University of Illinois relating to the environment. Dr. Wuebbles is an expert in atmospheric physics and chemistry, with over 500 scientific publications related to the Earth’s climate, air quality, and the stratospheric ozone layer. However his work goes well beyond that through providing analyses and development of metrics used in national and international policy and in developing analyses for understanding climate impacts on society and ecosystems, plus potential resilience and societal responses. He has co-authored a number of international and national scientific assessments, including those by the Intergovernmental Panel on Climate Change (IPCC), which was awarded the Nobel Peace Prize in 2007. He helped lead the 2013 IPCC international assessment of climate science and the 2014 U.S. National Climate Assessment. He currently is co-leading a special report assessing the science of climate change as a prelude to the 4th U.S. National Climate Assessment (NCA4), and is leading a chapter in NCA4. He has received many awards, including the Cleveland Abbe Award from the American Meteorological Society, the Stratospheric Ozone Protection Award from the U.S. Environmental Protection Agency, and is a Fellow of three major professional science societies, the American Association for the Advancement of Science, the American Geophysical Union, and the American Meteorological Society. He received the 2014 Cozzarelli Prize from the Proceedings of the National Academy of Sciences for a paper he coauthored on climate relationships with air quality, and the 2014 Choice Award for a book he co-authored on an engineering response to climate change. In addition to his work on urban sustainability, Dr. Wuebbles’ current research is aimed at studies of: (1) trends and changes in severe weather under a changing climate; (2) analyses of the effects from aviation and other human activities on the climate system; (3) effects of climate change on food security, in related studies on the food-water-energy nexus; and (4) effects on urban air quality relative to changing climate and emissions. Dr. Wuebbles has two degrees in Electrical Engineering from the University of Illinois (1970, 1972) and a Ph.D. in Atmospheric Sciences from the University of California, Davis (1983). Don and his wife, Barbara, have been married for 47 years and have three sons and four grandchildren. Don grew up on a farm near Carlyle, Illinois.